We decided to have a little last minute football get together, so I didn’t have much time to prepare – which was part of the fun! Luckily, I had time for a quick run to the store! I could have bought all the premade trays, but I wanted something a little more homemade looking. 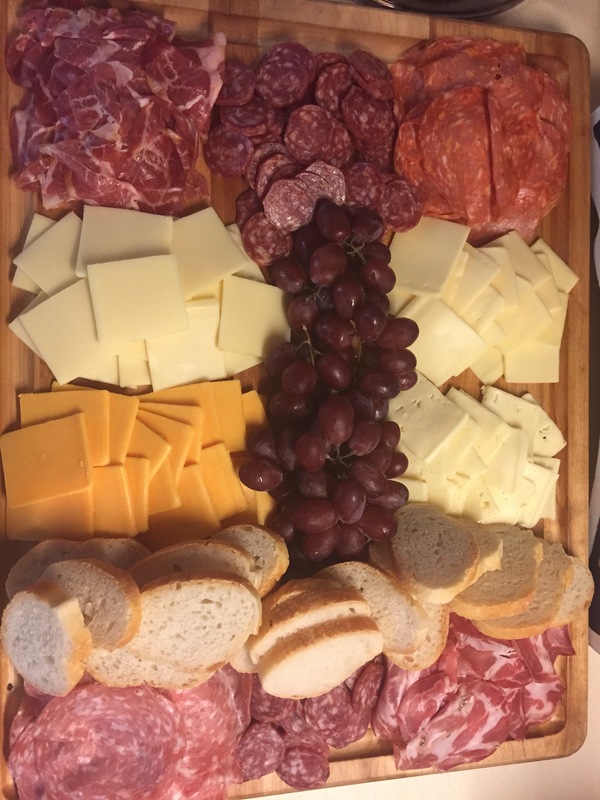 An assortment of dried meats, a few bricks of cheese and some grapes and we were set to go. A kind guest brought the bread, which was a perfect touch. While at the store I also grabbed a flatbread and topped with goodies from the fridge. I guess you could call it leftover flatbread, but that doesn’t sound very appealing. 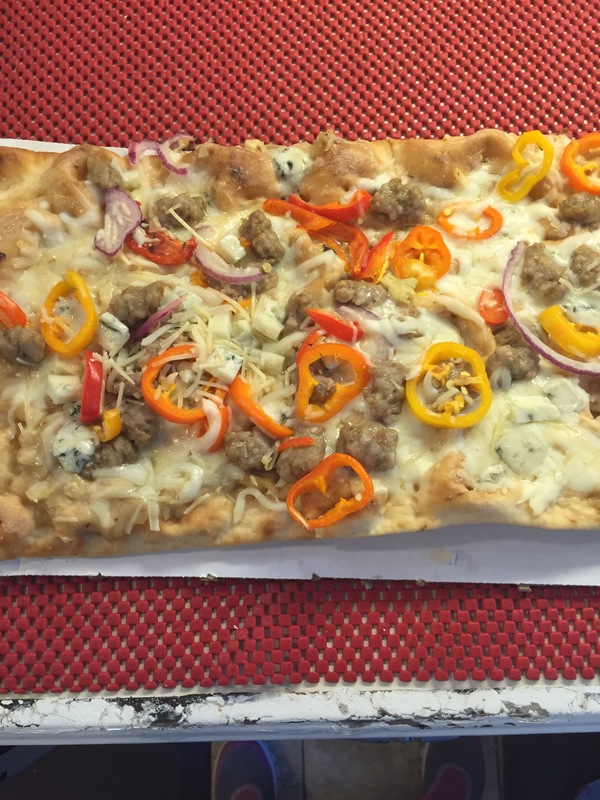 In this case I used motzarella, blu cheese, sausage, onion and pepper pizza. To further change it up, my husband was using the oven to dry some beef jerky, so I grilled the pizza. I placed on the grill at about 350 degrees for about 12 minutes.